Embryonic stem (ES) cells provide a unique tool for cell-mediated gene transfer and targeted gene mutations due to the possibility of in vitro selection of desired genotypes. When selected cells contribute to the germ line in chimaeric embryos, transgenic animals may be generated with modified genetic traits. Though the ES cell approach has up to now been limited to mice, there is an increasing interest to develop this technology in both model and commercial fish species, with so far promising results in the medaka and zebrafish. 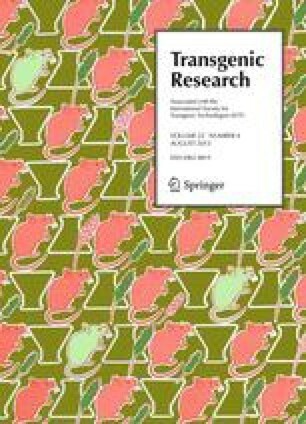 In this study, we present evidence regarding a long-term stable cell line (SaBE-1c), derived from embryonic cells of the aquaculture marine fish Sparus aurata which has been characterized for (i) cell proliferation, (ii) chromosome complement, (iii) molecular markers, and (iv) in vitro tests of pluripotency by alkaline phosphatase (AP) staining, telomerase activity, and induced cell differentiation. These cells have proved their pluripotent capacities by in vitro tests. Furthermore, we have demonstrated their ability to produce chimaeras and to contribute to the formation of tissues from all three embryonic germ layers. These features suggest that SaBE-1c cells have the potential for multiple applications for the ES technology in fish, with the added value of originating from an economically important species.